Real Estate is a service oriented business, where our job is not to make the decisions about buying and selling a home, but to help guide our clients in making the best decision for themselves. Sometimes this involves giving unpopular advice but I consider my job to try to keep my clients objectively focused on their ultimate goal - buying or selling a home. My philosophy has always been to offer the best service that my 28+ years of real estate experience allows me to share. William Raveis Real Estate shares the same philosophy, that our client comes above all else. I take pride that at the end of our transaction when William Raveis sends the customer satisfaction survey, the majority of my clients take the time to fill it out and send it back. 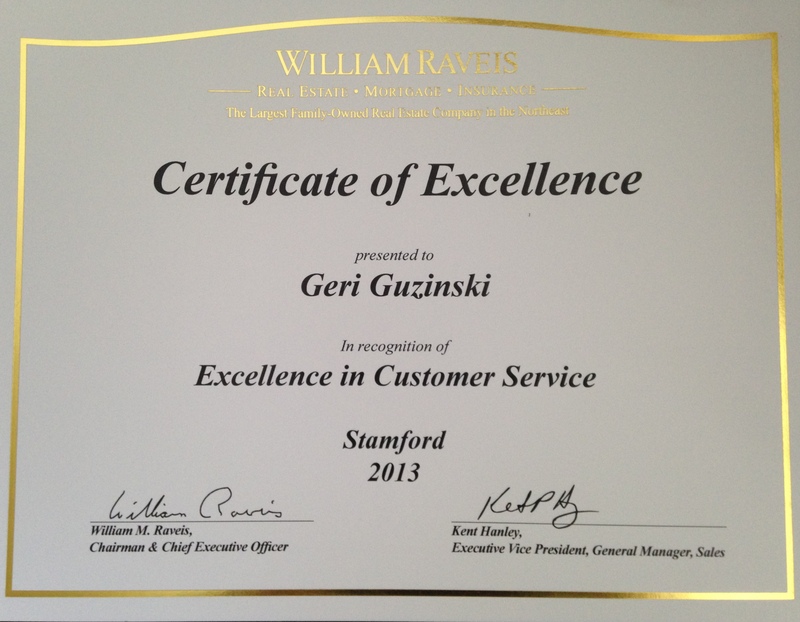 The feedback is invaluable and I'm happy to say that I was just honored to receive the "2013 Excellence in Customer Service Award" for our Stamford offices. Call me and let me help you make the right decision!